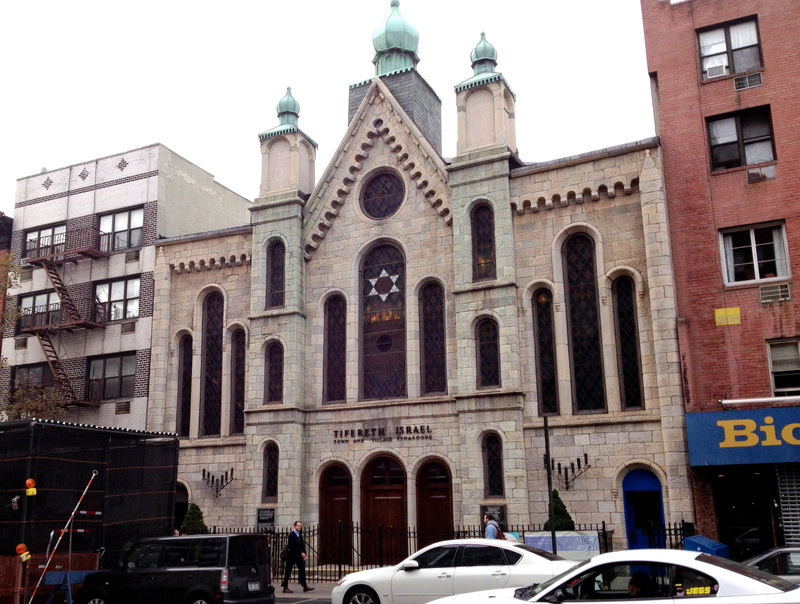 Although Town & Village Synagogue on East 14th Street is currently being considered for landmarking by the city’s Landmarks Preservation Commission, the community most affected by the effort isn’t particularly enthusiastic about the prospect. Town & Village’s building has been on East 14th Street for 150 years, but the synagogue itself began elsewhere, so the physical manifestation for the congregation is not the most important aspect of the community for many of its members. One such member, Peter Cooper Village resident Henry Condell, wrote a letter to the Landmarks Preservation Commission, published in the May 8 issue of Town & Village, that urged the commission not to landmark the synagogue because many members believe that the continuation of their traditions are more important than the building where the traditions are practiced. As a compromise, both Newirth and Condell have said that if landmarking does go through, they want to make a distinction between the front part of the building, which includes the historic façade and the main sanctuary, and the back part of the building, which encompasses the kitchen and office spaces that get used for various programs not necessarily related to their religious services. Per this distinction, they are hoping that only the front part of the building be considered for landmarking. Assemblymember Brian Kavanagh submitted testimony in favor of the landmarking but also made the distinction between the two parts of the building, based on feedback from constituents who are members of the synagogue, and specified that only the front part of the building should be landmarked. He noted in his testimony that “the building in the back of the lot was not part of the original plan and serves various, newer purposes” and is not architecturally significant. The LPC hosted a public hearing at the end of March about the proposed landmarking and kicked off a month of public feedback throughout April, but Newirth said that she isn’t sure how long they’ll be waiting for a response. She said that it might even be possible that they’ll have to go through the whole process again because, since the city’s administration has recently changed, a new chair of the commission was just appointed last week.